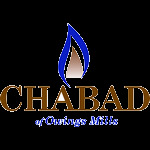 Join Chabad Owings Mills for a 5-week Hebrew reading crash course for adults. Read It In Hebrew (RIIH) is the name of the flash-card based course. The first two lessons focus on the letters of the Hebrew alphabet while the last three lessons introduce vowels and teach students how to read words. With flashcards portraying the letters alongside catchy mnemonics that make the information memorable and easy to digest, “Read It In Hebrew” allows students to absorb information quickly and efficiently. The RIIH course, developed by the Jewish Learning Institute, promises users that they can learn to read Hebrew in only five weeks if they follow the program. January 8, 15, 22, 29, and February 4. 11299 Owings Mills Blvd. Back row. Owings Mills. $75.00 (Includes Flashcards- $35 value). Email Rabbi K. - rabbi@ChabadOM.com to reserve your spot.